From the country where LTE was first deployed on a commercial scale - Sweden - now comes the first live test with LTE Advanced, a true 4G technology, as per the International Telecommunications Union's (ITU) first definition, not the wimpy stuff we have now, which the marketing departments forced ITU to be acknowledged as 4G too. The telecom equipment giant Ericsson, which by the way is providing the gear for Verizon and AT&T's LTE networks, was given test spectrum by the Swedish Post and Telecom Agency, and the demonstration was done driving around in a van, achieving speeds up to 10 times faster than the current LTE network in the country. The telecom equipment manufacturer was using commercially available hardware, compliant with the 3GPP release 10 standard. How fast is this "10 times faster"? Well, the captions under the test van pictures say 900+ Mbps, and we unearthed the demo video posted yesterday on Ericsson's YouTube channel, which shows LTE Advanced for Swedish regulators, and the title says up to 1 gig per second achieved. 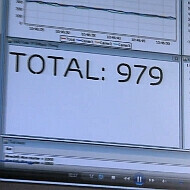 That is proved in the video, where speed constantly stayed above 900. Did we mention the vehicle was moving? Sweet. According to the ITU definitions of 4G, it should target 1gig downloads and half a gig uploads in "low mobility" situations, which obviously includes driving slowly around in a van, since Ericsson managed to score these speeds in its LTE Advanced test. The technology offers not only blazing speeds, but also improved throughput via carrier aggregation, capable of serving more users at these rates with low latency, even when the network is congested. In the press release Ericsson urged regulators to start allocating harmonized spectrum as soon as possible, so as LTE Advanced deployment can start in 2013. LTE advance is not commercialize as of yet.It make sense for Verizon to deploy reg LTE until its ready. LTE Advance wont be ready until the next 2 to 3 years. When ready, all they will have to do is apply the software upgrade for LTE Advance. Speeds Like that will hopefully usher the return of unlimited data. Or at least raise caps significantly. We'll prolly have to wait till around 2015 to see this here in the states. At least significantly.Lte advanced on a foldable phone doesn't sound so bad. Remember a couple of days ago when you said LTE advanced was 100 Mbps?